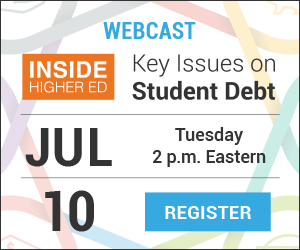 This webcast will explore some of the trends in student borrowing, as well as the policy debate in Congress and on campuses. To view a recording of the webcast, click here . To download the slide deck, click here .